Keren is on a mission to bring improv into family life - everyday life - everywhere. She founded Improv Parenting as a way to help parents feel more grounded, confident, and playful as they navigate the stresses and multiple roles of our modern lives. While raising her first child Keren found that even with 15 years of teaching and coaching experience she often felt overwhelmed by the demands of being a mom. When Keren took her first improv class, with the encouragement of locally re-knowned improvisor Jen Scott (and despite lifelong stage fright), she noticed the skills filtering into her daily life. Improv helped Keren be in the moment, accept mistakes, trust her choices, and view her parenting as an arena for creativity. Keren is a cast member with The Theater for Public Policy (despite her stage fright), where she gets to perform on topics ranging from the economy to neighborhood development to the rural-urban divide. Whether you aspire to perform or simply want to be more comfortable in your own skin, improv is an incredible space for practicing a range of real-life skills: authenticity, listening, non-judgment, flexibility, collaboration, balancing the playful with the serious. And as a former athlete I love the teamwork and trust you build with your teammates. The more you give, the more you get. Erin was born in the land of cheese (WI), loves donuts and fizzy water, and is mom to a very spirited toddler. She spends most of her time biking, reading books, and asking if you have to go potty. She also takes care of two furry kitties at home named Waffles and Uffda. Sarah Arnold is ecstatic to be joining the Improv Parenting team as Social Media Manager and Teaching Artist! 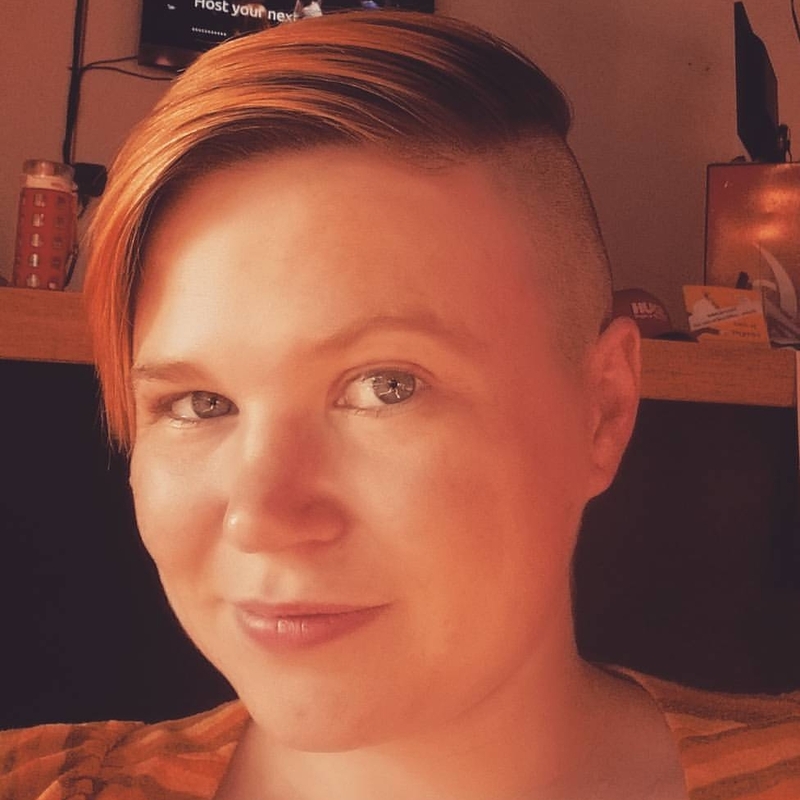 Sarah has been working with youth for 7+ years through theater and improv, and she recently returned to the area after serving as Education Coordinator at Fargo Moorhead Community Theatre. You may know her from her teaching with the Children’s Theater Company, Brave New Workshop Student Union, SteppingStone Theatre, Lyric Arts, and more. She also can be seen performing on stage with various improv groups, and is exciting to be bringing her energy to this wonderful organization! Seasoned performer and educator, Brynn brings a wealth of performance from her experiences in both scripted and unscripted theater. A beloved member of Robin Hood’s Merry Band at the Minnesota Rennaissance Festival every summer, Brynn currently teaches art and performs throughout the Twin Cities. 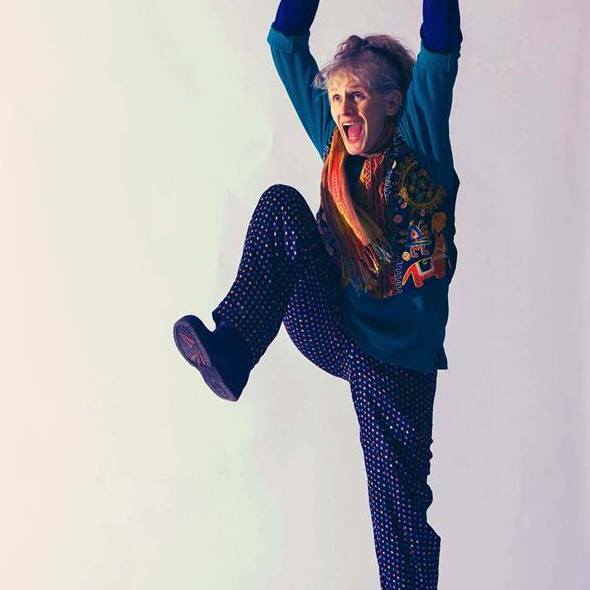 Rita Boersma is a performer, teacher, writer and coach. She has been an improvisor for over 15 years. She is a company member at ComedySportz and performs regularly with Show X and The Mess at HUGE Theater where she is also the Artistic Director. Outside of the theater community, she has over 10 years experience working in education, both one-on-one in the classroom and on a large group scale as a Program Facilitator with the nonprofit, Youth Frontiers. She is also mother to one whip-smart and terribly hilarious kid. It couldn't hurt to mention she has a truly unreasonable love of mashed potatoes. Producer, director, sketch writer and improvisor is co-founder of Strike Theater, a Twin Cities venue for spoken word, storytelling and sketch comedy. From 2009 to 2014 he was the director of the Brave New Workshop Student Union and he has been improvising since the late 1990's. Joe has years of experience teaching and directing both performance-level long-form improvisation and sketch comedy. Watching a student come to the realization that everything they do is a gift to their scene partner, and that they can do no wrong. Once that happens, then the fun truly begins. Giving up all expectations and existing purely in a place of discovery. Breanna Cecile lives and breathes improv. She works at HUGE Improv Theater as a Program Coordinator most days, teaches there some evenings, and performs whenever she gets the chance. In the Fall, she spends her time entertaining children (and sometimes their parents) at the Minnesota Renaissance Festival, usually in the guise of a giant jester puppet. You can find her in shows such as Squash Banana, Improvised Agatha Christie, and Gifted & Talented on stages across the Twin Cities. 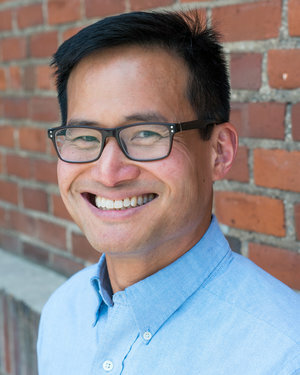 Fred Cheng has been performing improv comedy and leading improv workshops for literally his entire adult life. Since returning to the Twin Cities from a life detour in the film business, Fred has appeared onstage or taught for the Brave New Workshop, Huge Theater, Stevie Ray's Comedy Cabaret, and The Theater of Public Policy. In "real life," he is a husband, dad of twins, cat owner, and teacher for Minneapolis Public Schools. Alex is a father of two and plays a scary monster, old timey sportscaster, and jungle gym for his kids. He has performed, coached, or taught improv for over a decade. Alex is an intercultural trainer at the University of Minnesota and an improv instructor at The Brave New Workshop. When did you start improvising? I started classes at the Brave New Workshop in 2006, then performed on the Six Ring Circus. Later I formed my own team called Grasshoppah, which was a mashup with local hip-hop artists and storytellers. Where do you wish you had never visited? The bottom of an empty swimming pool. Improv helps refine listening, reacting, and collaboration skills in fundamental ways. Sami used to teach early childhood education at Temple Israel ECC and in 2018 started a new career as a paraprofessional at Agamim Classical Academy, a charter school in Hopkins, MN. Sami is also an improvisor, performing and directing around Minneapolis. 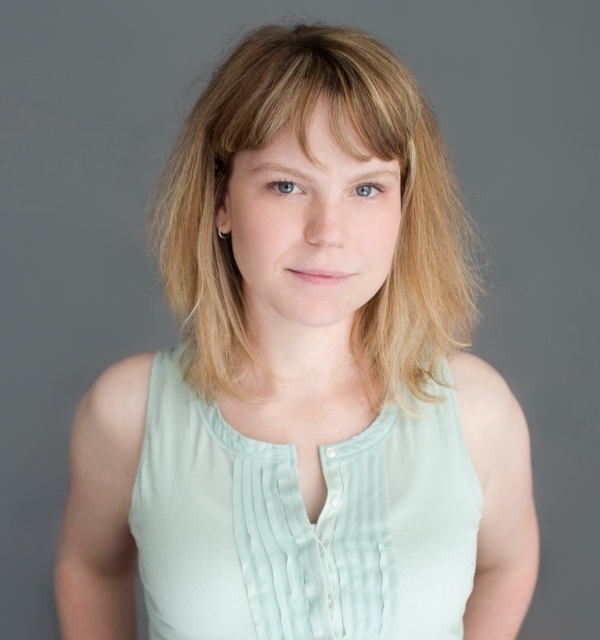 A former Museum Educator at the Minnesota Children's Museum and a lab instructor and TA for Toy Product Design at the U of MN, Krystianna also teaches classes and camps for Improv Parenting and is a member of our advisory board. Nathan Kelly is an improviser/actor and is incredibly excited to join Improv Parenting for the 2018-2019 season! Originally from South Carolina, Nathan moved to Minnesota in 2013 when he joined CLIMB Theatre as an Actoe-Educator. Since then, he has become actively involved in the improv community and serves as co-producer of Rated G: The Improvised Family Friendly Musical. He considers himself a Jack of all trades, master of pun. Cicely has been in the creative arts for as long as she can remember. A graduate of the Cleveland Institute of Arts, she moved to the Twin Cities in 1992. She has been a visual artist for four decades, a creative consultant and arts instructor for three decades, a theater artist for eleven years, an improv performer for six years and a parent for 21 years. Her recent Improv projects have included performing in the 2018 shows “Party Riot”, “Conundrum”, “Small College Town” and “Super Showdown”. She also performs regularly in a duo called “Two,Too” and does a solo improv show. She has created, directed and produced several shows, including “Breaking the Looking Glass” which ran both at Phoenix Theater and HUGE Theater in MPLS. 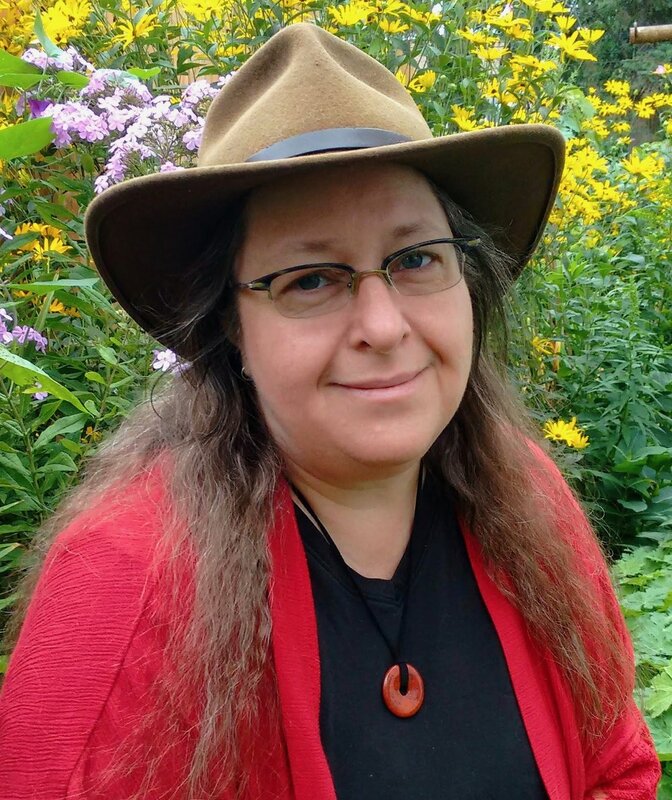 Cicely is constantly looking for new projects that are challenging, non-conforming, and play into her love of life. A former radio producer, Kelsey teaches improv to adults and performs regularly at HUGE Theater. Parent of two, ages 5 and 7, Kelsey discovered improv later in life and is a passionate advocate of the skills and community it provides to all ages. Laraine is a freelance writer, improvisor and graduate of The Second City comedy and sketch writing programs. 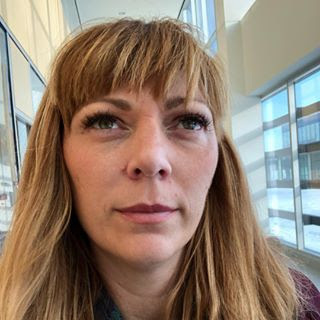 A mom of two and lover of children and Italy, Laraine grew up in Orlando and now identifies as a St. Paul resident (for which the Minneapolitans usually don't judge her). I love how it forces you to always be present. This is such a hard life lesson to learn. I tend to focus too much on the future and can sometimes miss the fun of what's happening right in front of me! I love making my bed. Seriously. I feel like I can handle anything and everything the day can throw at me if those pillows, sheets and comforter are put together! Elana owns Fontlove Studio, a creative design and communications studio in Minneapolis where she specializing in data visualization/infographics, typographic design and iconography for print. 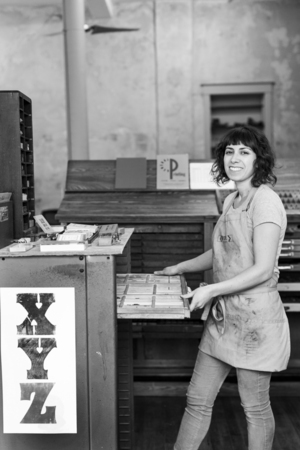 In 2017 Elana founded and now directs Proof Public, a nonprofit whose mission is to preserve & promote the craft of traditional letterpress printing, and create programs and educational opportunities rooted in the social role of printers to increase access to information, advance design innovation, and support the community. Jen Scott is a performer, teacher, playwright and sometime musician. She's taught at the Brave New Workshop Student Union since 2001, and also teaches regularly at Children’s Theatre Company, Park Square Theatre and Pillsbury House Theatre. As a performer, she's worked with HUGE Theater, Walking Shadow Theater Company, Four Humors, the Science Museum of Minnesota, and others. Jen is also the mom of two; her eldest, Oscar, is three and transforms into a sometimes nice, sometimes mean robot regularly. It just sort of depends on the day. Being surprised. The delight in the surprise! And how it can still make me laugh - - hard. Blake Wanger has over seventeen years of improv experience. He taught in the HUGE Theater Teen Improv Program and currently coaches a teen improv group called Official Ostrich Committee. Blake also started Spontaneous Education, LLC, which brings improv into classrooms. He is a former teacher who loves working with kids and adults of all ages, especially when the subject is improv! Blake also loves Legos, singing, and sports.